Do you want it all? 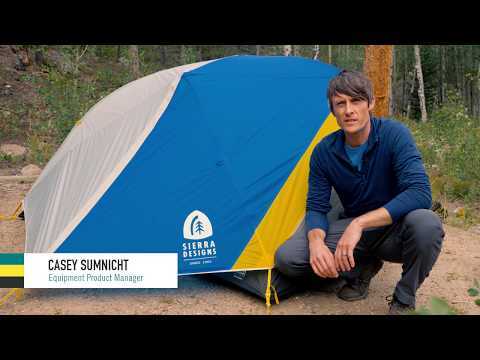 The Sweet Suite 2 Tent is just as lightweight as your typical 2-person backpacking tent, but it also offers a roomy interior, dual vestibules and double doors. The partly freestanding design is what really shaves grams. Plus, a unique fly setup lets you roll it back to stargaze or let the breeze in. Floor and fly are made of ultra-lightweight, silicone-impregnated nylon ripstop with a waterproof PU coating. Inner tent body is nylon mesh that shields you from no-see-ums and provides plenty of breathability. DAC Featherlite aluminum poles provide strength at a low weight. Hubbed tripod pole design with ridge pole and pre-bent pole sections creates near vertical walls for maximum interior space and headroom. 2 doors and vestibules give each camper their own nighttime exit, plus room to store gear. Colour-coded buckles and clips allow for easy set up. Unique fly configuration lets you unclip the ends and roll back the head portion for extra venting or mosquito-free stargazing. 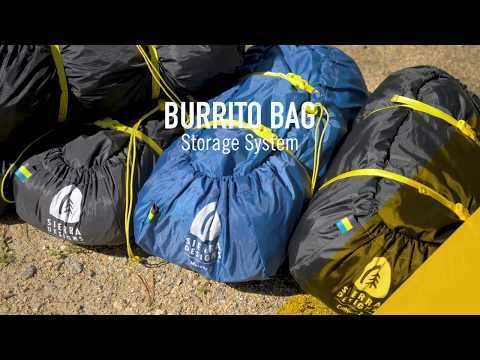 Side-loading Burrito Storage Bag is easy to use and packs up small inside your backpack. Interior pockets keep your headlamp within easy reach for 3am bathroom trips. Includes 4 guylines and 10 stakes.